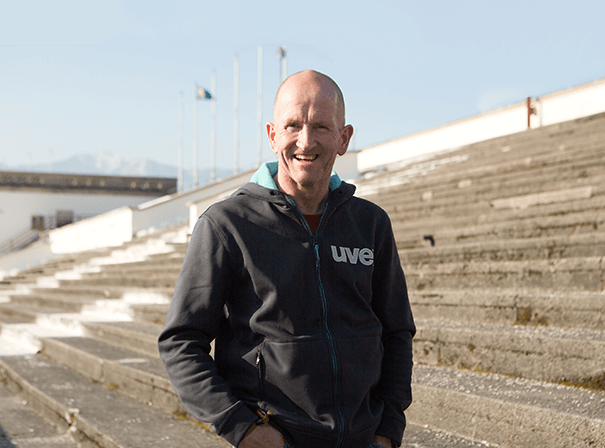 Much loved British skier Eddie the Eagle has become a popular celebrity in the UK thanks to his likeable character and legendary feats on the slopes. Born in December 1963, he was the first Brit for almost sixty years to represent his country in the Ski Jump at the Winter Olympics. During his time in the sport he set the British ski jumping record and was also ranked at ninth in amateur speed skiing with a speed of 106.8mph. Eddie is also a world record holder for stunt ski jumping when he managed to clear six busses. In the Olympics, he was a bold challenger but finished in last place in both the 70 meter and 90 meter events. So famous is his story that in 2016 it was made into a film for the silver screen. In the film, which was called Eddie the Eagle, he was played by taron Egerton. After his career on the slopes, Eddie has gone on to be in hot demand on TV. In 2014 he became a commentator for Channel 4 TV programme The Jump, in which he also performed some jumps himself. He has also guested on ITV2 show Fake Reaction and has taken part on Winter Wipeout.